This Demonstration shows a slope field and integral curves for a first-order differential equation near a singular point. 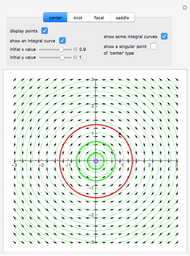 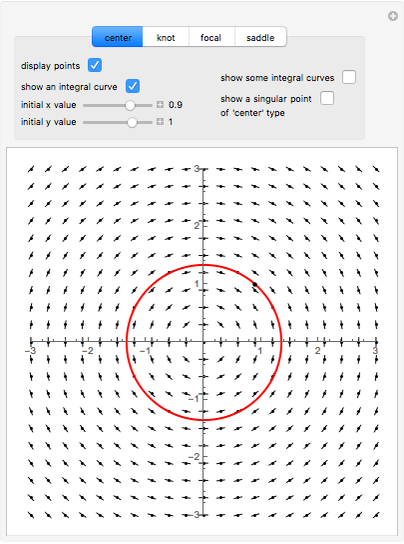 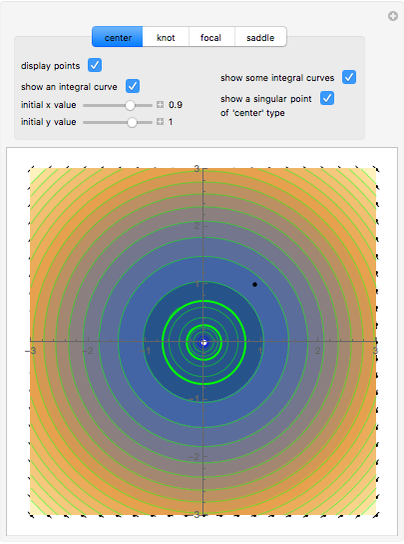 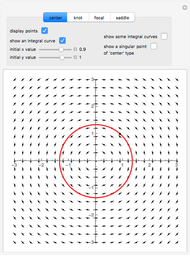 You can plot a particular integral curve passing through one point and you can plot some integral curves. 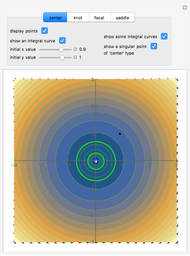 V. Tomilenko "Isolated Singular Points of a First-Order Differential Equation"